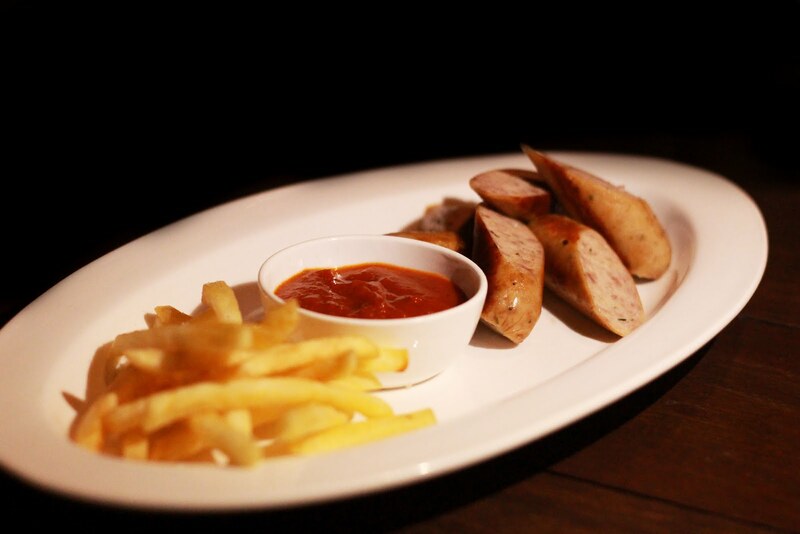 Food Fuel – Happy Breakfasting at your doorstep — Reviewed! Breakfast like a King! This is what we are hearing since childhood. But mornings in metros are so action packed, less of time and loads of hustle bustle that sometimes, you don't even get time to prepare breakfast, which is offcourse, the most important meal of the day. We all know, having a healthy breakfast improves memory, concentration and fill us with the energy for the day. We definitely need calcium, iron, vitamins, protein and fibre to kick-start the day. What if all these healthy gourmet food comes daily at your door step and you don't have to worry about the time? Food Fuel comes to the rescue. It is a company serving fresh, healthy breakfast at your doorstop. Currently they have 5 types of boxes.. I was approached by them to review their boxes and was offered their signature Dal Pakwan box and the Sandwich box. What I liked about the FoodFuel.. Lets open each box at a time. I started with my favourite Grilled Veg Sandwich box first (Rs.169). Everything is just in place with perfect combo. Grilled Veg sandwich made with multigrain bread accompanied with tomato ketchup, dehydrated fruits and fresh fruits with yogurt, makes it a complete breakfast. Bit filling! Yayyy! I got a fridge magnet as well, which I have adorned on my refrigerator. From Meal to Paper napkin and fork, nothing was used out of the box. Super na! Those in a mood to try Indian can opt for the traditional Sindhi box – Dal Pakwan (Rs.149). A box with 2 Pakwans, Chana dal, Imli chutney, chopped onions and dry fruits makes it full of proteins, carbs to give a kickstart to the mornings! Pakwans, flatbread, was crunchy, crispy and went well with the spicy, tangy dal. Best part, everything was intact. One can customise the taste as per the need by adding chutneys and onions to top. One can order or call from their website. Currently they are operating in .. If your area is out of the mentioned areas, just give a call and they will happily deliver it with mild extra cost. Make your mornings happy and stress-free with FoodFuel. Oktoberfest at Effingut – Eat, Drink, Merry — Reviewed! October is the month of festivities and especially for foodies like us who have one more reason to rejoice — Oktoberfest, which is the world's largest Volksfest held annually in Munich, Germany and now all over the world. In Pune, you can see a lot of places celebrating the festival with beers, food, fun and friends. Being a non-alcoholic person, you must be wondering, what am I doing in a place having Oktoberfest? 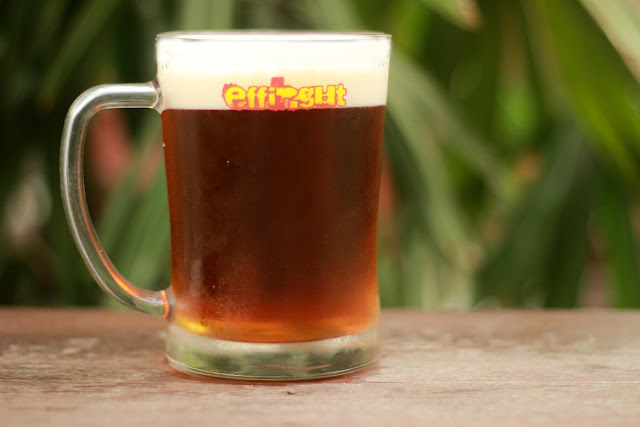 Well, I got a chance to visit Effingut for their ongoing Oktoberfest and trust me it was such a learning experience. 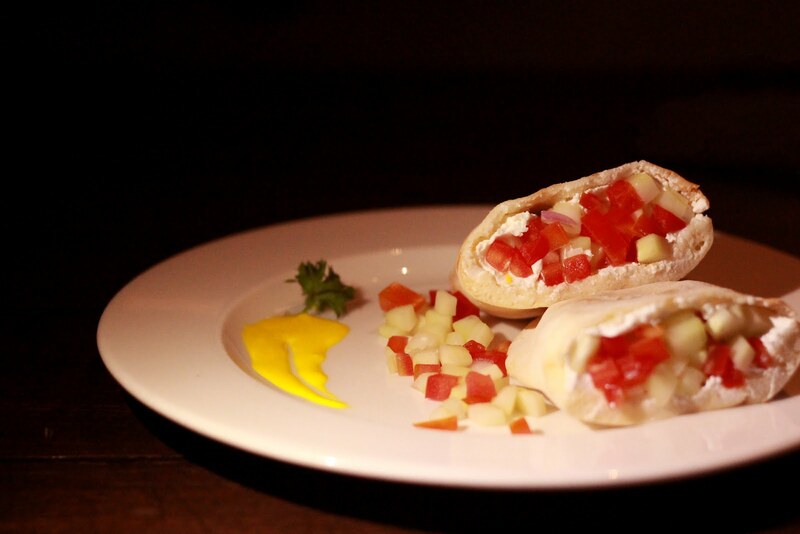 Food, drinks and ambience of this place will surely impress you! 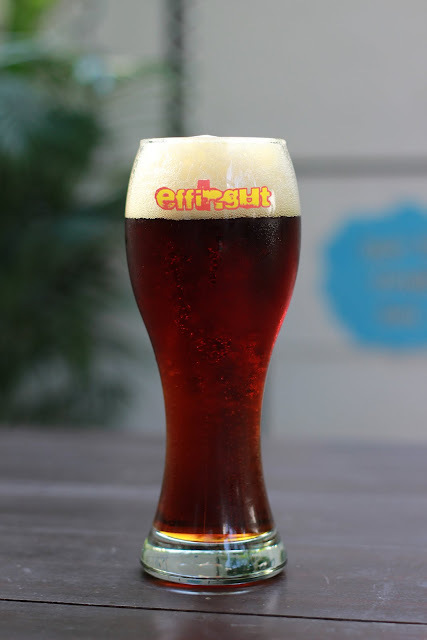 Mr. Manu Gulati, master brewer, strategist and founder of Effingut Brewerkz, Pune was there to share his experiences with us. The significant reason behind Effingut Brewerkz was to introduce people to the concept of craft beers in India. He is unparalleled when it comes to talking about on beers. Full of life, fun-loving and witty Manu made our evening memorable with the beer tastings and the de tour of the brewery. Apart from all the classy, legendary, fresh craft beers, this year, they are planning for some quirky additions to the menu. Interestingly german influenced menu has also been designed for the fest. Mr. Manu took the note that he was there to explain the technicalities of beer tasting..Simple rules..
Pour, Look, Swirl, Smell, Drink, Taste. So, here are the beers which were served on the table.. 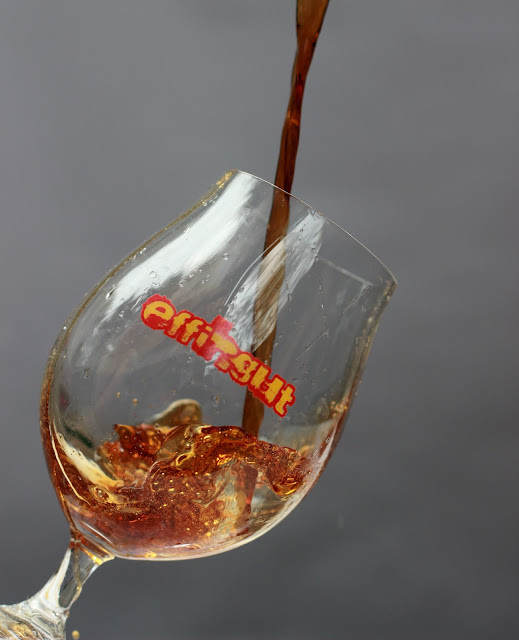 The intensity of beer served to the table was from sweet to bitter. It is not beer but craft beer-freshly brewed! One just need to go and feel the pumped up energy there. So, I started with Brotschnitten, lightly toasted french bread topped with creamed spinach and pickled vegetables paired well with the drinks. Taste was subtle. Then, next was Veg Doner, sort of pita pockets stuffed with spiced cottage cheese schnitzel, sour cream and german coleslaw accompanied with crisp potato wedges. It was super delicious. Doner pockets were fresh and the filling had balanced spices. Coleslaw was enhancing the deliciousness. Effingut Classic Vegetables was one of my favourite as everything they serve is prepared in house–Just fresh! This dish had grain mustard and red chillies for the hotness! Loved it! Drinks and crackers makes a great combo. Jalapeno Cheese Crackers were next. Nice, crisp from outside and gooey, cheesy with pepper and chilli from inside. It was addictive. I couldn't stop myself after having one. Go for it! 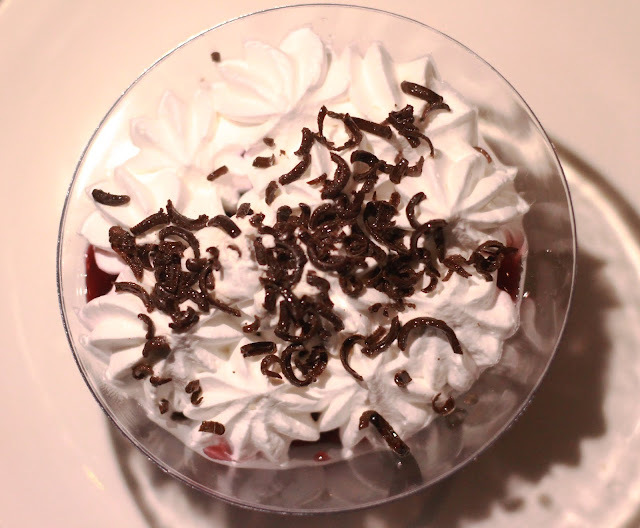 The best part of any meal – dessert and here we had Black Forest Trifle. A layered dessert of Chocolate cake, Dark Cherry Compote with Strawberry Cider topped with Whipped Cream. Awesome it was! All inclusive packages available from 8 PM - 11 PM daily! 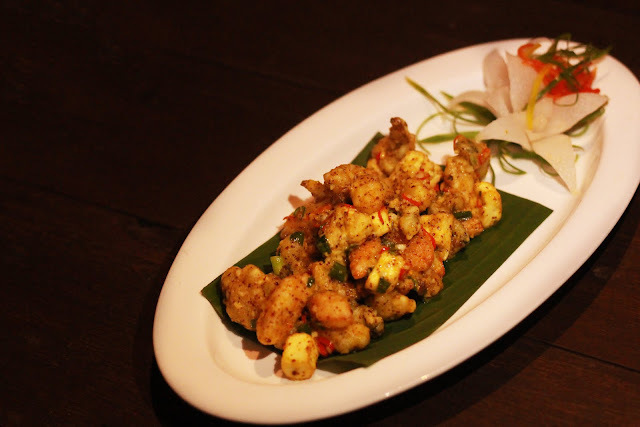 Sarhad ke Pakwan – Dish out food from border states at Kangan, Westin — Reviewed! Sarhad Ke Pakwan is a very innovative food festival in which people can savor the northern cuisines of Indian states on borders. A diversity of Kashmiri, Rajasthani, and Punjabi cuisines await at Kangan, Westin, Pune. The 10-day festival have rich Kashmiri dishes, Rajasthan’s spicy curries and the generously stuffed paranthas of Punjab, all in a single platter. Authentic flavours from the ground of border states will take you on a culinary extravaganza with Tabak maaz, dal-baati, amritsari macchi, and bhuna murgh to name a few. 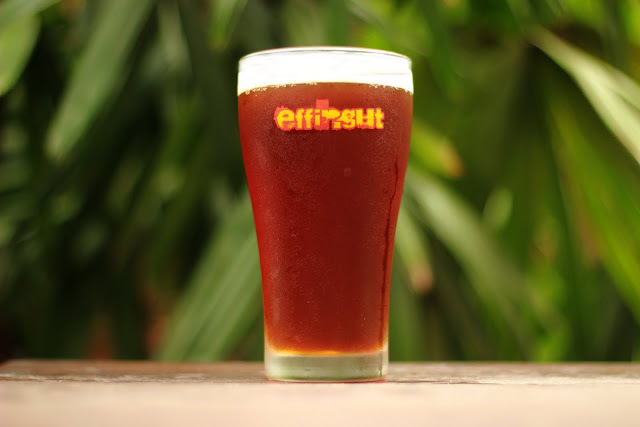 The idea of the festival brewed when Exec.Sous Chef Gaurav Anand, Chef Shadab and Chef Harpal were just having a casual chat of any kind of food festival. 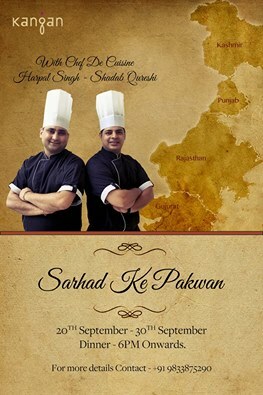 Suddenly, they realised Chef de cuisines,Westin have are the best in the town and they can showcase their skills, as Chef Shadab specialises in Lucknowi, Kashmiri and Rajasthani while Chef Harpal is expert in Punjabi cuisine. That makes states covering border and hence, Sarhad Ke Pakwan. Loved the concept and the idea of inculcating different cuisines under one roof – Kangan. I am sure, meal at the place will be one memorable one. To start with Nadru Chorma, a kashmiri speciality of lotus stems deep fried and tossed in whole spices, coupled with radish and walnut chutney, was quite addictive. The chutney was super duper delicious. Highly recommended! Jodhpuri Paneer Tikka, rajasthan's authentic delicacy, a cottage cheese preparation marinated in spiced yoghurt and cooked in clay oven. Paneer was succulent and the spices were perfectly balanced. Highly recommended! Another dish from Kashmir, Tamatar Chaman, a cottage cheese preparation in oh so delicious fresh tomatoes, ginger and fennel gravy. It had piquant flavour and aroma, quite tangy and bit sweet. Amrud ki Sabzi, was one of my favourite from Rajasthan. Strong flavour of achar especially kaloji, coriander and cumin. Raw Guava with mild spices was giving a 'khatta-meetha' effect. Baingan ka Bharta, a punjabi delicacy of roasted aubergine was presented beautifully. Bharta, a mash of roasted aubergine and fried with onions, tomatoes and garlic, was served into hollow brinjal. Wonderful! Taste wise, it was very good. Papad Mangodi, have been eating it since childhood, its a rajasthani delicacy of lentil flatbread and deep fried lentil dumplings with tomatoes. Tastefully done authentic preparation! Kashmiri Rajma, Maa-Ki-Dal were fantastic and went well with the naans and paranthas. We also tried Cheese Tomato Naan, which was delish! Wadi ka Pulao is a rice based preparation with punjabi spices and lentil dumplings. Tasted like normal pulao but had crunch of wadi to it. Superb! Kashmiri Pulao was equally delicious, rich in flavours of nuts and saffron. Our desserts started with Shakore ki Phirni and Malpua with Rabri. Basically Shakore is clay pot and phirni is sweetened mixture of milk, rice and flavoured with saffron. Thick in texture with mild sweetness, phirni is just perfect for me. Malpua with Rabri is an overdose of calories and sweetness. Super, duper delicious sweet pancake made of refined flour and served with condensed milk and nuts. Loved it to the core. Crunchy Malpua and Rabri makes a great combination. When: 20th September 2016-30th September 2016; Dinner only. Karwar to Kanyakumari – A Seaside Sojourn – Courtyard by Marriott, Hinjewadi, Pune — Reviewed! Monsoons are an integral part of Western ghats. There are so many memories related to the rains, especially the food of coastal areas. Courtyard by Marriott, Hinjewadi has come up with a distinctive food festival - Karwar to Kanyakumari. The 11-day festival covers five areas around Southern coast - Karwar, Mangalore, Kozhikode, Alleppy and Kanyakumari. Each day traditional recipes from single region are offered.Chef Raja Hegde and Chef Vikram has skillfully designed the menu. "The festival aims to breakthrough the mindset of people who think Southindian food is just about dosas and idlis" says Chef Raja. When I went there, the region of the day was Kozhikode, and I was so happy to see my favourite Appam and Veg Stew. Apart from the regular buffet, including the live counter, one can relish scrumptious feast of traditional and fragrant dishes. Treat for belly started with kulhad served Kittale Rasam, an orange based appetizer with a strong hint of peppercorn and a slice of orange for the tangyness. The after taste of pepper was spicy and it really helped in increasing the hunger pangs. Kappa was next, a tapioca preparation, had chunks of it and tossed with dried red chilli, green chilli, mustard seeds, chilli flakes, coconut and traditional dried masala. The health packed dish was one of my favourite. Karwari Meen Rawa Fry, though I didn't eat it but for those who are curious to see what was special for the day. 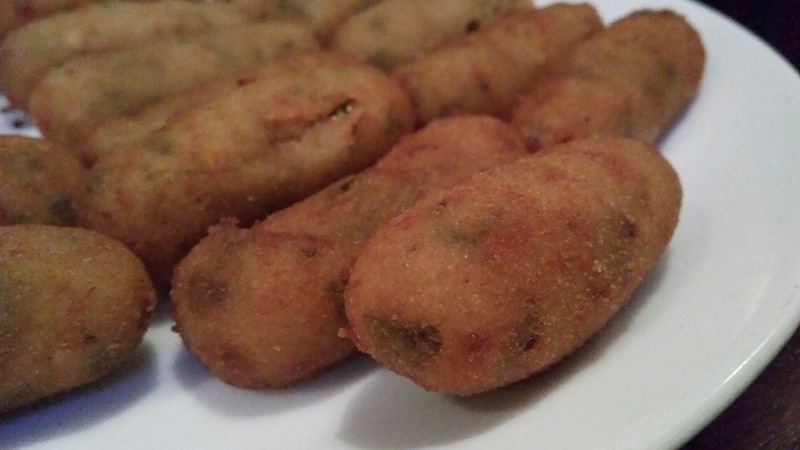 Parippu Vada or Chana Dal Vada or fritters with dill leaves was crunchy, spicy and yummy. The flavour of dill leaves was mild and coarsely crushed dal was adding crunch to it. This is the traditional evening snack food in Kerala. I bet you won't be able to stop from eating more than one. Highly Recommended! Kozhi Malaggu Roast, a chicken preparation, for people opting for non-veg. Manjhi, a mangalore dish is an attractive Pompfret masala fry with chilli tamarind paste and dash of coconut masala. Monsoon and chips go hand in hand. Bappakai, a raw papaya deep fried chips, from Karwar, was super addictive. I just couldn't stop munching! Urulai roast is chettinad urulai or potato roast are baby potatoes sauted in freshly ground spices. A very simple and quick meal. Loved it with the sambhar rice. Veg Stew and Appam were made fresh from the live counter. Appam was nice, crisp though stew was thick and creamy, but I wish it had more of coconut flavour to it. Loved the taste though! With all these scrumptious food, now was the time for some desserts. I was having Ada Pradhaman and Manni for the first time. Ada Pradhaman is a traditional classic dessert of Kerala made with Jaggery and Coconut milk. Rich, thick and creamy textured delicious pudding with tropical coconut flavour. Manni is almost an extinct sweet preparation from Mangalore. Looked like a small cake, ingredients were basic - rice, coconut and jaggery, served in cubes. It had crumbly and gooey texture with balanced sweetness. Cost: Rs.749+taxes for lunch and Rs. 999+taxes for dinner.